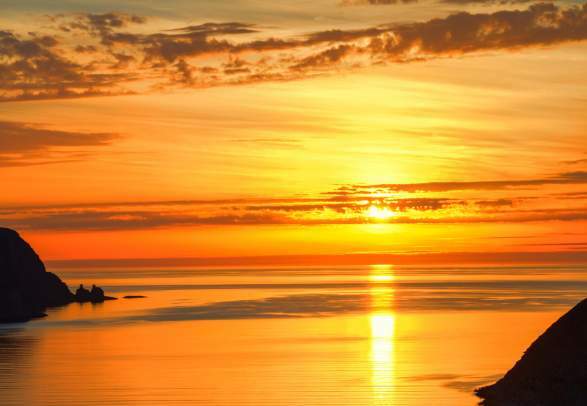 In Northern Norway, there is no darkness throughout the summer thanks to the the midnight sun. Stay up around the clock and enjoy fjords, mountains, high plateaus and islands in a new light – the region is a 1,000 kilometre long treasure trove of trails, providing an endless variety of hikes. The coastline of Northern Norway is a challenging but safe and fun hiking area. Numerous marked trails lead you to the nearest mountain top where you can take in the view, whether it’s a 200 or 1,200 metre elevation. The seasoned mountaineer will go for the highest peaks, to be rewarded with far reaching vistas of fjords, islands, peaks and glaciers, after hours of strenuous ascent. But there are also a multitude of easy and medium level tracks, so you can choose a level that suits you. This is an inhabited landscape with a rich history and an interesting cultural calendar. Different types of accommodation, ranging from rustic simplicity to pure luxury, can be found in the coastal villages and towns, along with tasty local food. The Finnmark coast offers some of the easiest and at the same time the most rewarding trekking possibilities in the north. The terrain is soft and heather-clad, and the gently rolling hills are easily mastered – and still the view of faraway ships on the ocean, stretching all the way to the North Cape, is hard to beat. Well-marked trails lead to sailing points, remote settlements, abandoned villages and natural wonders, and there are reindeer grazing on summer pastures. Sleep comfortably in the fishing villages, and enjoy wholesome meals in simple eateries. Make sure you visit small museums and galleries to learn about life at Europe’s outermost edge. The spine of the Scandinavian Peninsula, the Keel Range, is a remote, uninhabited area of peaks over 1,000 metres, glaciers, valleys and systems of connected lakes. 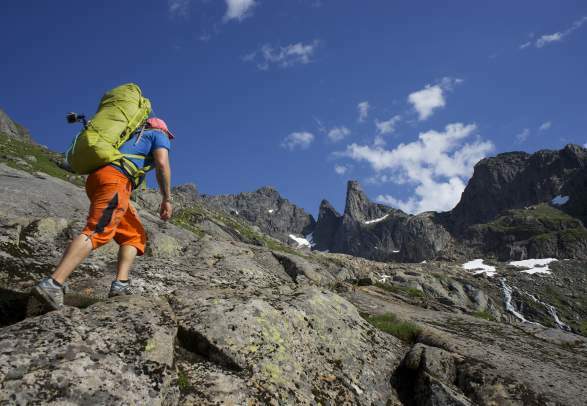 This terrain is only for experienced wilderness hikers: marking along trails is limited, mountain cabins are few and far between, and the weather is unpredictable. A few favourites include the Nordland trail though the glacier-filled Okstindan range south of the Arctic Circle, and the Nordkalottruta trail that criss-crosses the border between Norway, Finland and Sweden. Check out the map below to see where the different hikes are located.